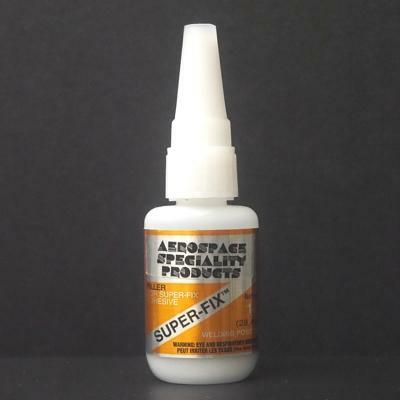 Super-Fix™ is a very fine material developed to fill small gaps and voids. It is sandable and paintable and cures in 1 - 3 seconds. Use with Thin CA (not included). SUPER-FIX™ FILLER DIRECTIONS: Twist off cap. Apply Filler to gaps in joints or voids to be filled. 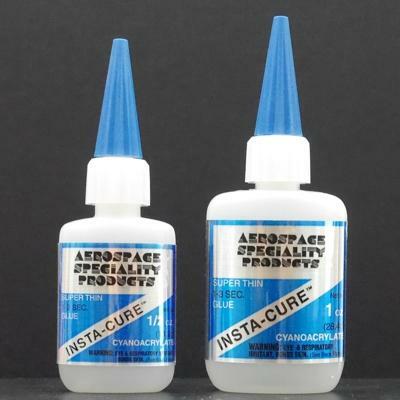 Apply drops of Insta-Cure Super Thin CA adhesive to the Filler, which will harden instantly. Corners of joints can be strengthened by forming fillets with the Filler and applying Thin CA to harden them.